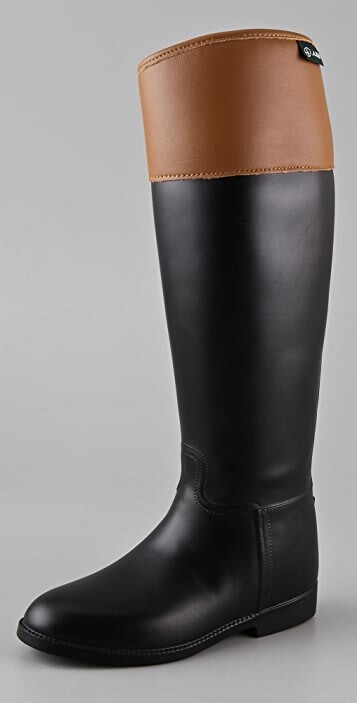 These two-tone, waterproof rubber boots feature a logo tag at the asymmetrical top line. Seam details and stacked rubber heel. Rubber sole. These are super cute. High rise (cut across my knee) but otherwise super stylish, well fitted, and do not look rubber at all. Perfect for the farmers market and other outdoor winter pursuits. 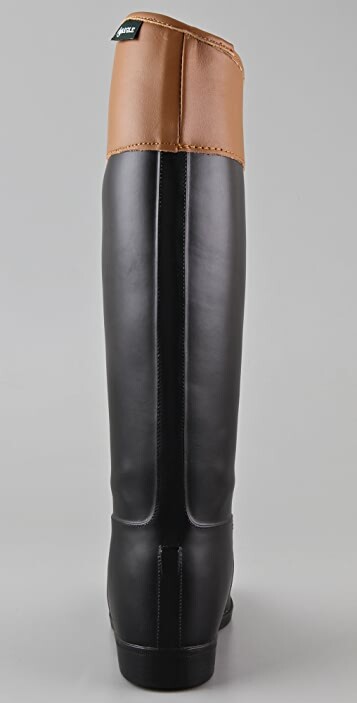 These boots fit me quite well, which is rare (I'm quite lanky -- 6'0", size 2 in pants, 9.5 in shoes) They're beautiful and the perfect boot for those who don't want to compromise style for function in grey, sloshy weather. They are a touch funny to walk in because of the way the rubber bends, but I've already gotten used to it and I've only owned them for ten minutes. 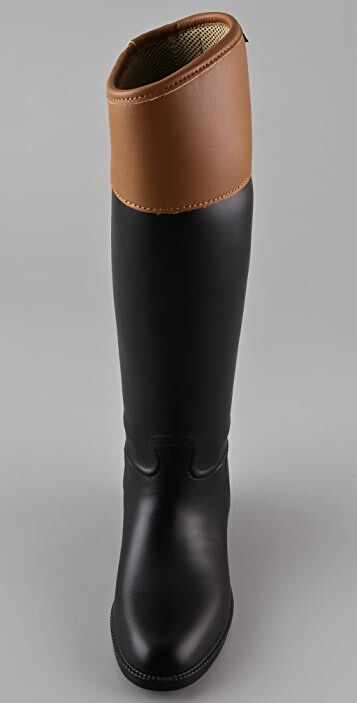 Essentially: these boots are perfect if you have hunter boots and love them but wish there was like 5 inches taken out of the calf area so you don't flop around as much inside the boot. returned immediately! these were so tight on the leg that i couldn't even get them off and they were so sqishy i couldnt even walk in them. 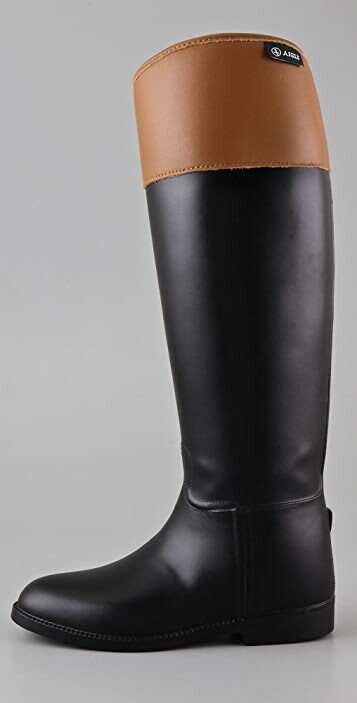 sad because they seemed like the perfect rain boot - alas they were not!